When talking about CES launches, we all know that several new TV’s make a distinguished presence on the show floor. LG Display is no stranger to this tidbit and has today given us a huge 65-inch TV to drool over. But, it’s not the size that has us mesmerized. It’s the fact that you can roll up the TV just like you would a poster or newspaper and keep it aside when not in use. 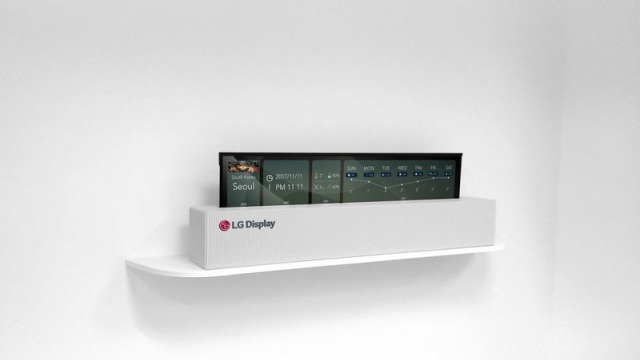 This is not the first time LG Display is showing off a prototype of its folding TV at CES, the Korean tech giant had previously debuted a smaller 18-inch OLED screen that was capable of being rolled inside the main body (as seen underneath). The same was first shown off at this electronics extravaganza in 2016. This was one of the most futuristic and innovative technologies for the time. But, the said screen has now been scaled up to bring you this humongous 65-inch TV that folds up. The rollable TV packs a 4K UltraHD resolution and Crystal Sound tech, but that’s about all the info we’ve been dispensed. LG Display hasn’t given away any other details, not even how the tech has been possible, on the show floor. There’s no reason to doubt the company’s intentions for making a rollable TV because the future may demand you to make better use of space (who knows?). The TV would make not only the storage but also transportation of the same easier, meaning you’ll just need to carry around the metallic block that holds a folded TV to a friend’s home to watch that heated McGregor vs Mayweather boxing match. LG Display is not the only one who’s shown off rollable (or foldable) displays in the past at CES. Samsung has also been at the forefront of this shift in display tech, ever since it showed off the YUOM prototypes way back in 2012. It has already adopted a much viable version of the same in its Galaxy S-series smartphones in the form of edge screens. And is expected to also bring rollable smartphones to the market very soon. 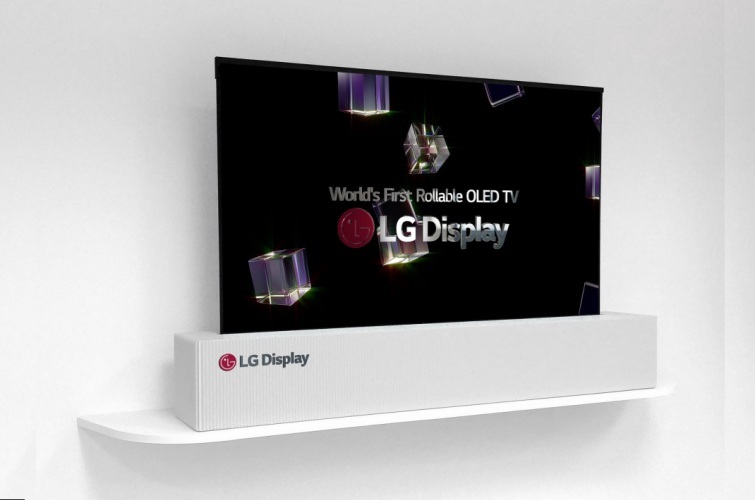 Now, LG and Samsung are going after the other to become the first to debut foldable TVs, smartphones or other futuristic devices to the mass consumer market. But, it is still to be seen who succeeds to make a viable (and affordable) rollable TV or smartphone over the coming year, or whether other companies will beat them to the punch!